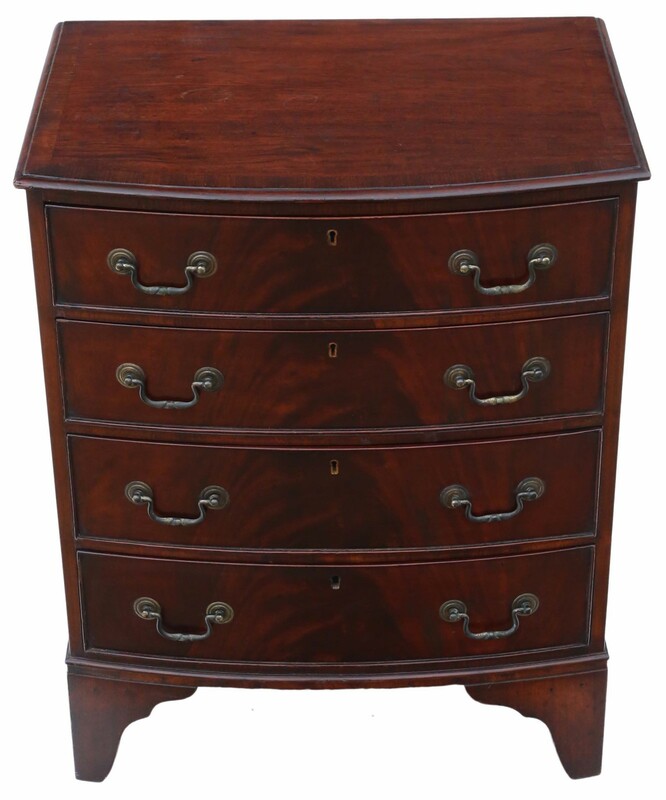 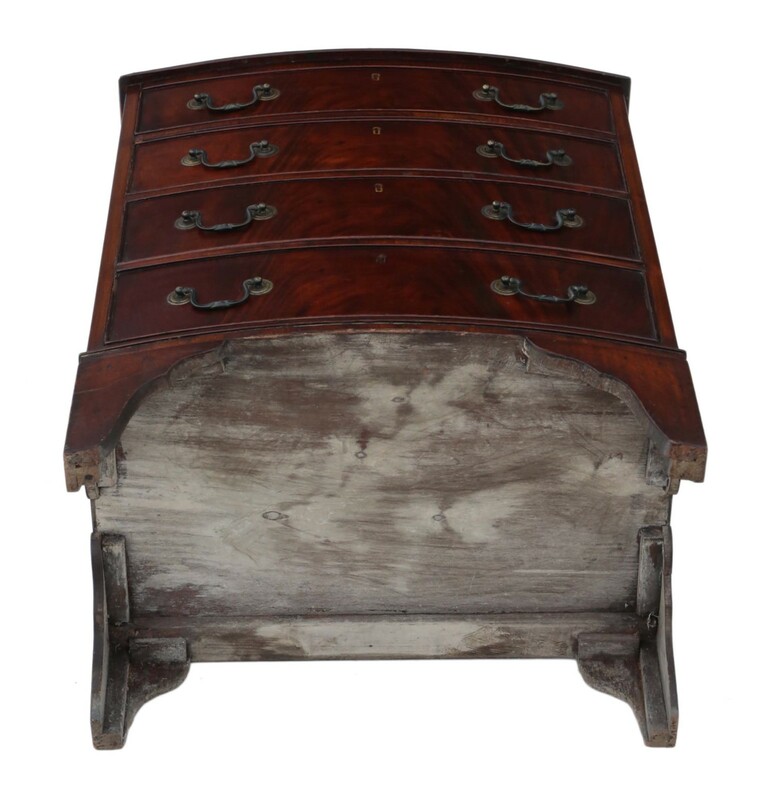 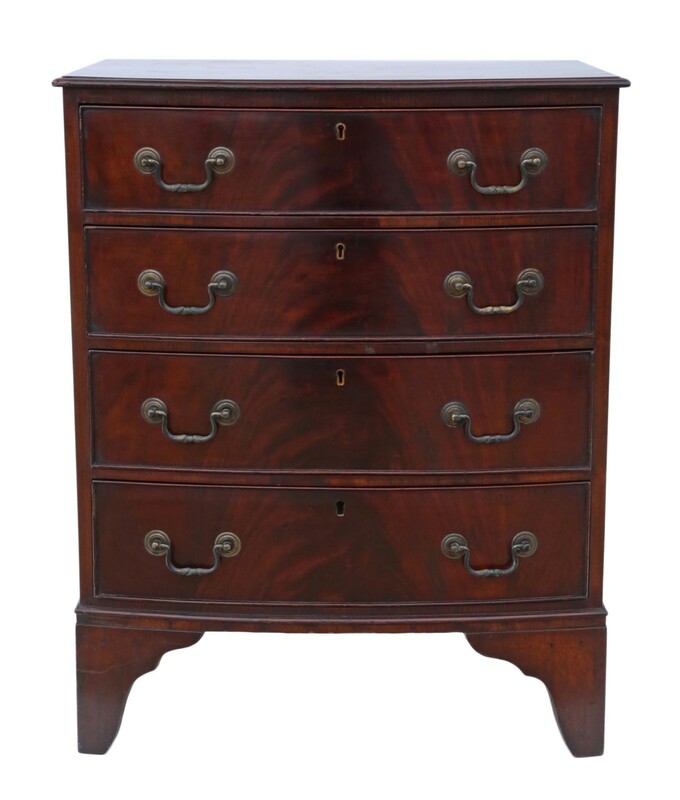 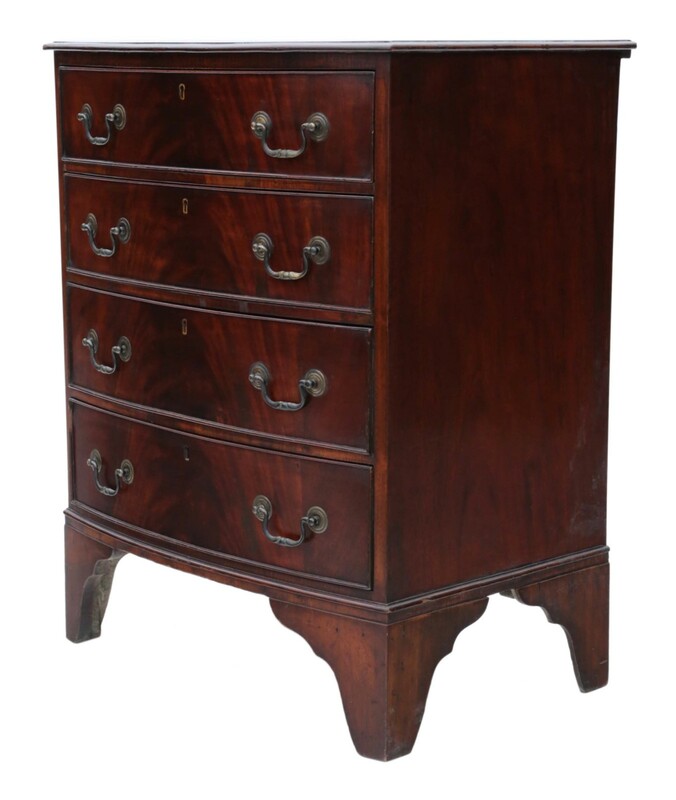 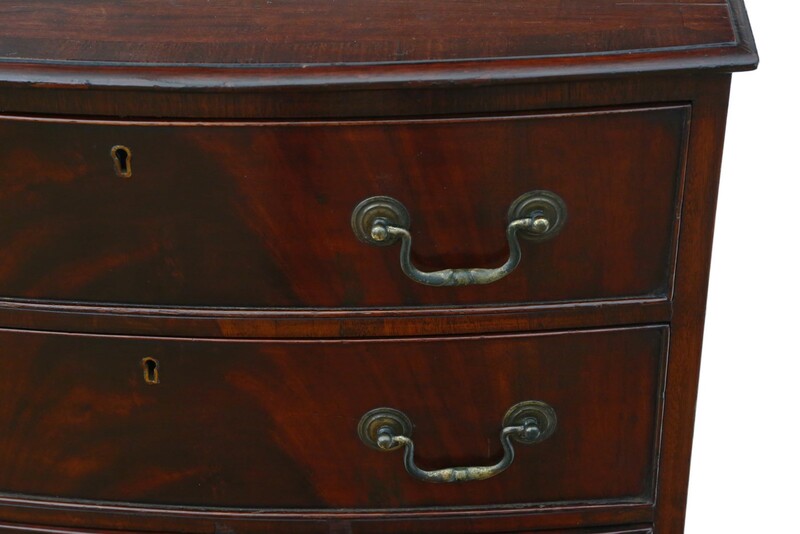 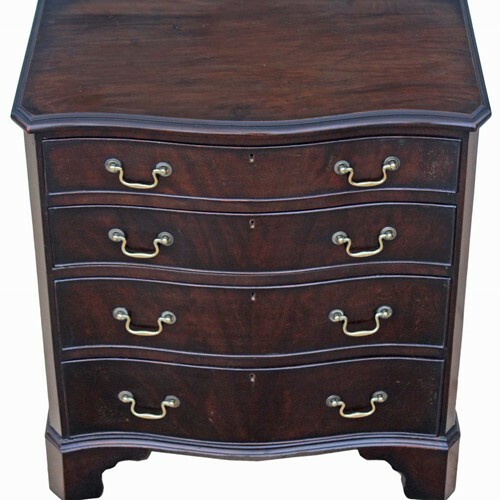 Antique small Georgian revival mahogany chest of drawers C1915. 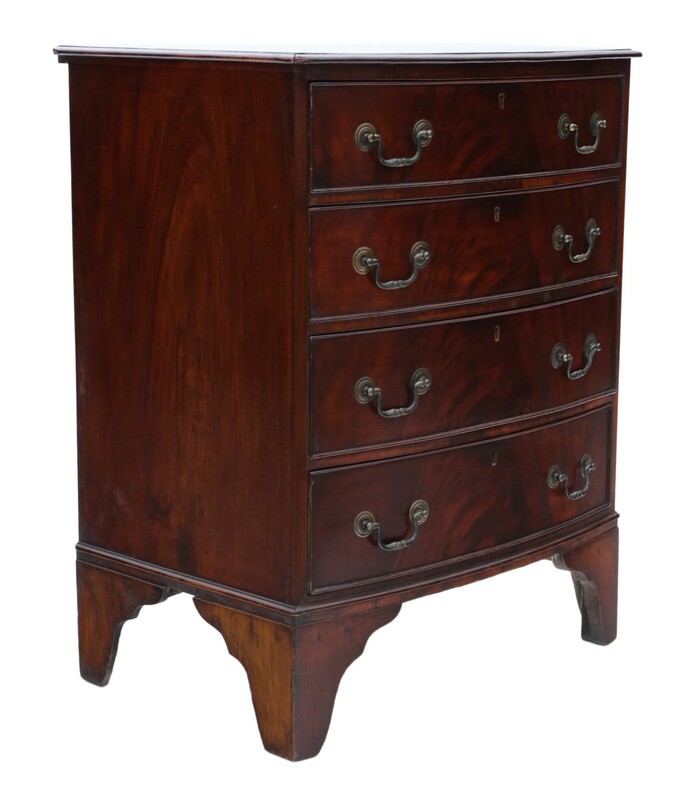 Solid and strong, with no loose joints and no woodworm. 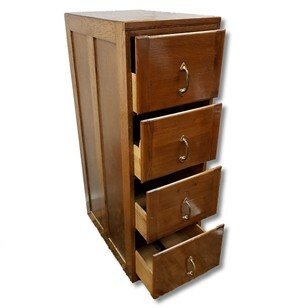 Oak lined drawers, that slide freely. 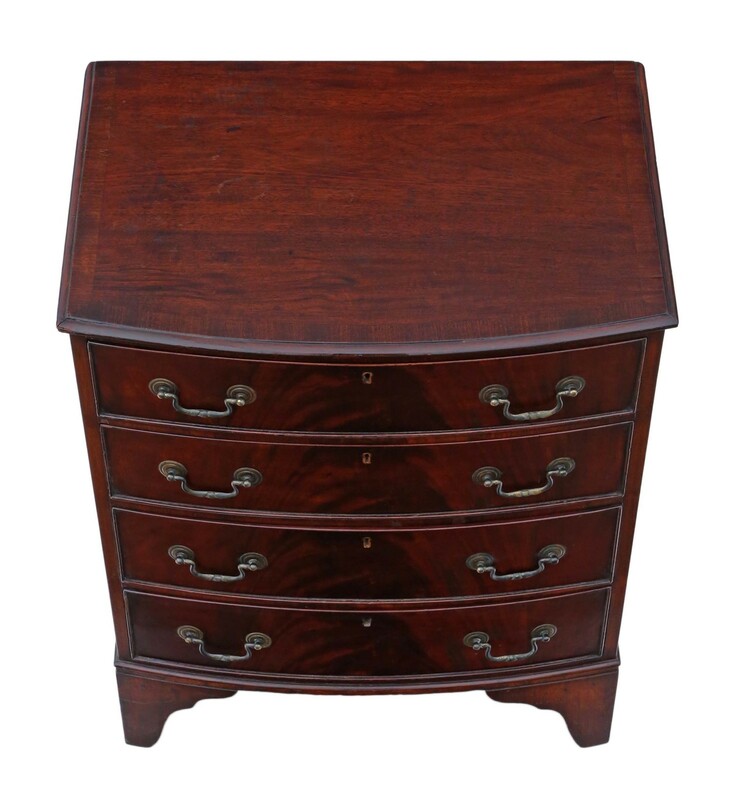 Overall maximum dimensions: 62cmW x 44cmD x 77cmH. 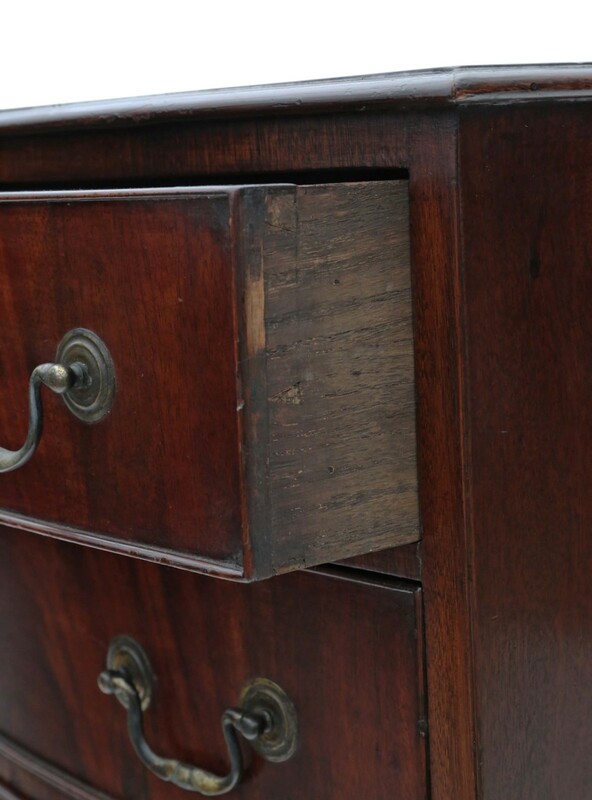 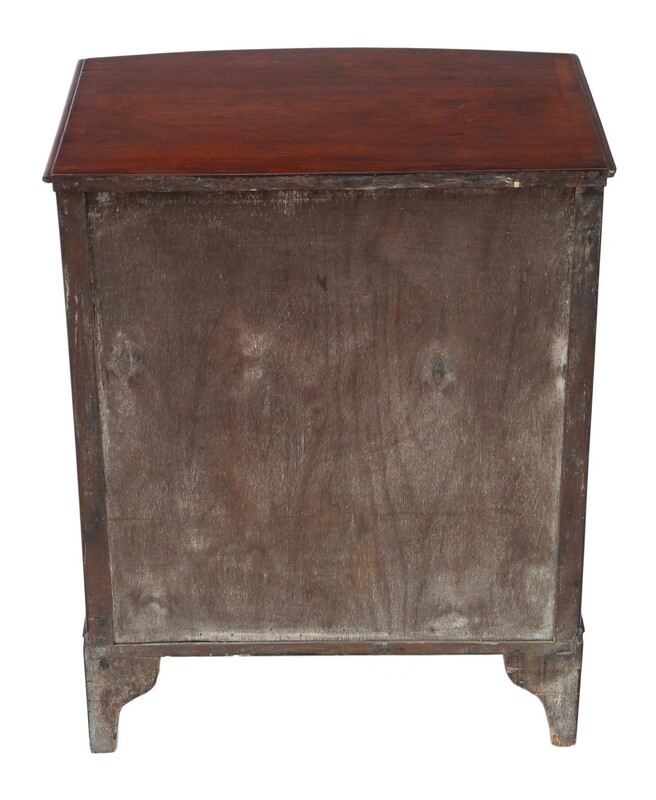 Historic knocks, marks, cracks, scratches, wear, imperfections, repairs and alterations, as is always the way and to be expected with genuine antique furniture. 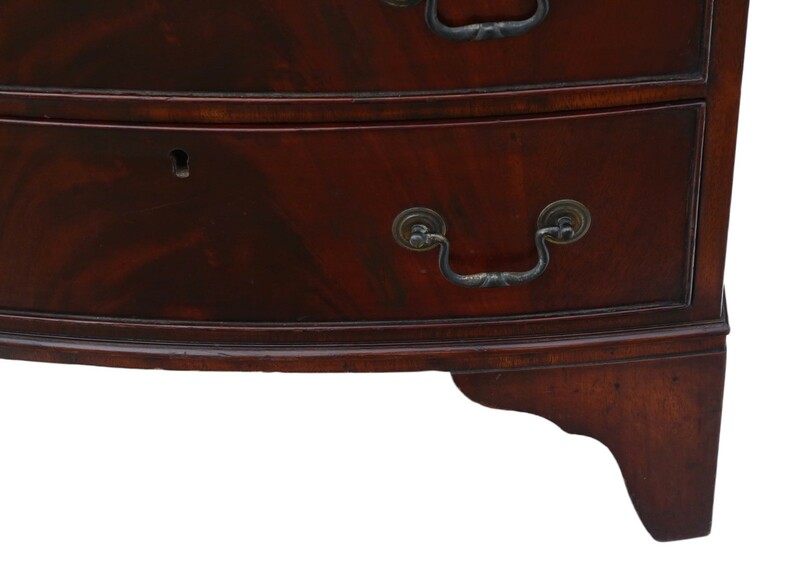 No keys and the locks are untested.